"I'm here on a mission: fighting back." While Iron Man 3 is already in theaters in Europe, it finally arrives in US theaters everywhere this Friday. We've been posting posters galore for the superhero sequel, starring Robert Downey Jr as Tony Stark, but there's a few more to feature. 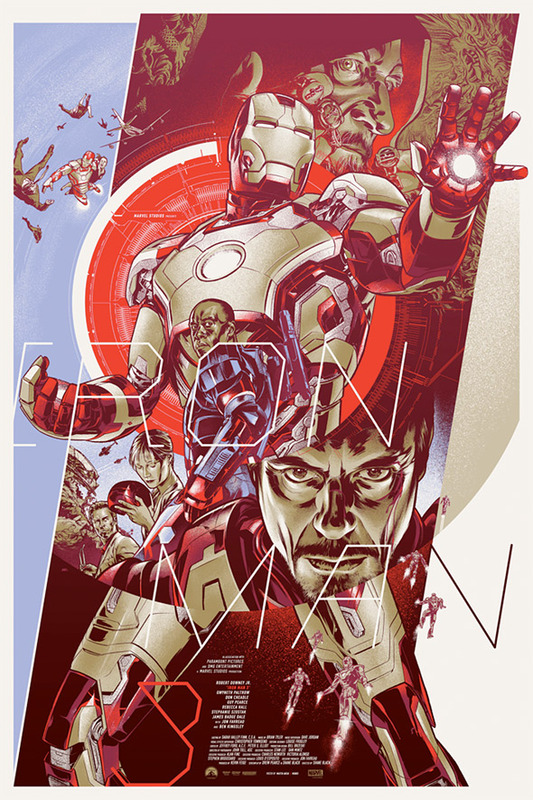 Mondo has dropped their two posters, one with a silver/gold variant, for Iron Man 3, directed by Shane Black. Phantom City made a glow-in-the-dark armory schematic, going for $45, which is awesome. And Martin Ansin made the other, which even if you don't like Mondo is still undeniably better than any official poster we've seen for this Marvel movie. Next, here are the two prints by Martin Ansin for Mondo's Iron Man 3 series. Each of these are 24"x36". Here is the variant "silver" version of the Martin Ansin Iron Man 3 poster. Which of these do you like more? 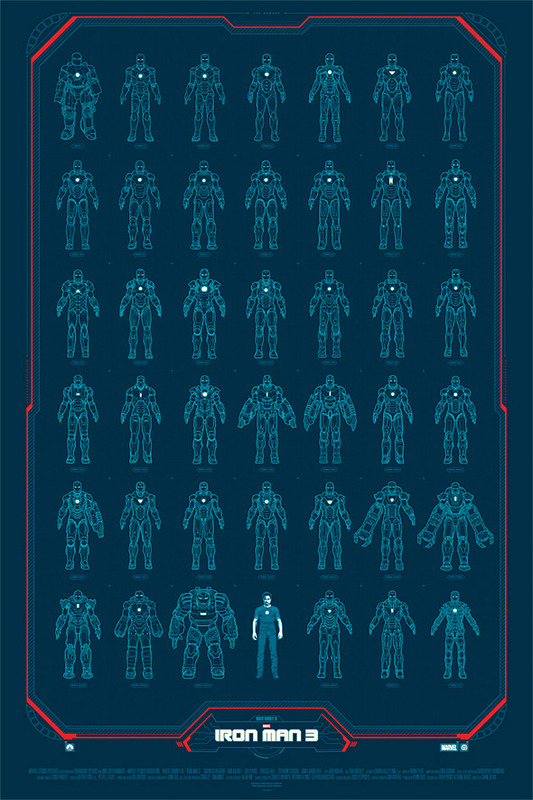 To see all the new Mondo Iron Man 3 posters in full, visit USA Today or stay tuned to @MondoNews. They will go on sale online this Friday at a random time. These also compliment the IMAX Midnight IM3 poster. Watched it and Its quite a refreshing take on the franchise. I like the first one, the other two are pretty good, but seem to be playing at Mondo's typical art style. The film is brilliant. It is one of the smartest most clever movies I've ever seen. What they did was risky and most fanboys will be be pissed but it was a smart move and it shows how Shane Black had the balls to do what he did with the franchise. Plus, Kevin Feige and MARVEL agreed to it so it wasn't all on Shane. I was caught off the edge my seat when they revealed that plot point and it was amazing. It took me a while to process that it had actually happened and what was the realiy of things. Agreed.! Was expecting better from this..just made it comedy...should have been better. Can't wait for it! Let's hope it spring boards of the Avengers.